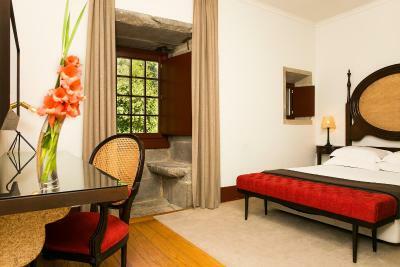 Lock in a great price for Pousada Mosteiro de Guimaraes – rated 9.1 by recent guests! This monastery is BEAUTIFUL! 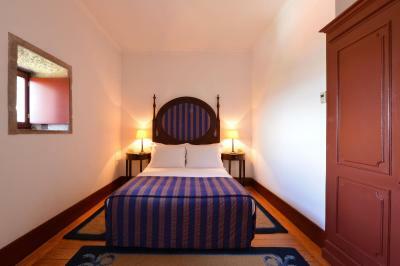 The rooms are large with excellent views and wonderful accommodations. Breakfast buffet was FABULOUS! You can even have champagne with your meal. There is a beautiful garden on the property. Excellent furniture. Extremely quiet. It was full of people but we never heard anyone. The staff was extremely helpful, always providing excellent advice, always with a smile. On my fiancee's birthday they had cake (with candle) and a bottle of champagne on ice waiting for us. 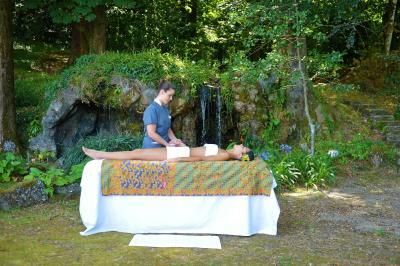 It was a very pleasant surprise as we were late getting back from a day in Braga. EVERYTHING was fantastic!! food, service and location. Great location outside the town and accommodation left us speechless. 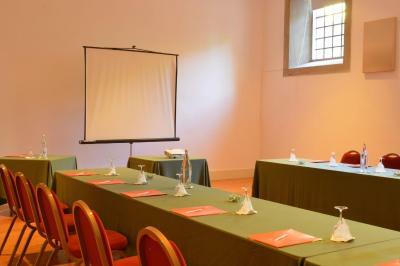 Well equipped, clean and quiet room with quite reasonable WiFi. Extensive and impressive garden behind. The topping it was the dinner there - Those "pieces of art" were delicious and choice of wines was excellent. 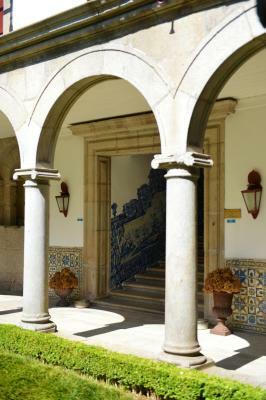 It was a uniquely luxurious experience to stay at the Pousada-- modern comforts in a beautifully restored/preserved historic building, just minutes from a stunning city center, relaxing bar and wonderfully attentive bartender, magnificent gardens and vistas, splendid breakfasts in a truly "august chamber," helpful and simpatico staff-- and all at an affordable price.... And BTW ample, free parking!... We would enthusiastically return! Fantastic location and perfect staff. Great dinner at the restaurant don't miss it. 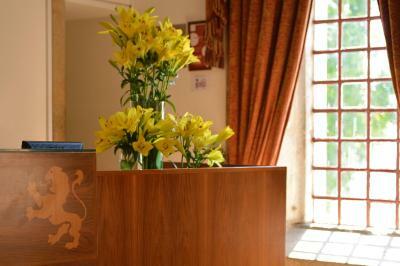 Top tier service staff and memorable stay. 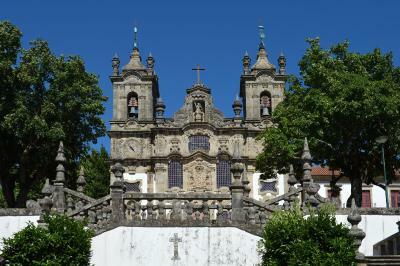 The Mosteiro de Guimaraes is fabulous! 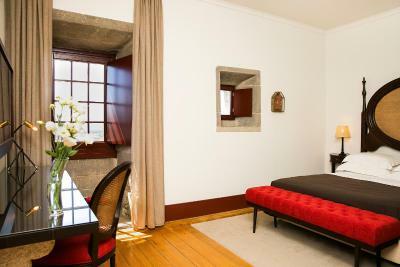 The monastery is beautiful - very spacious with beautiful views of the town of Guimaraes, and the rooms and hallways are quiet, unique and classic- you will not be disappointed! Breakfast and dinner were also wonderful and the staff is very helpful as well. 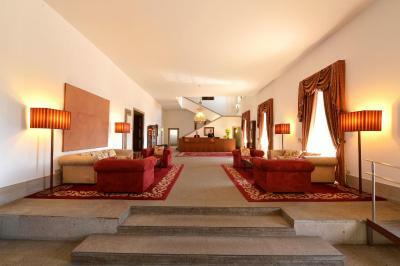 It is a grand building on a hill above the city with very comfortably modernized rooms. Our room overlooked the gardens which had both formal and more natural areas. 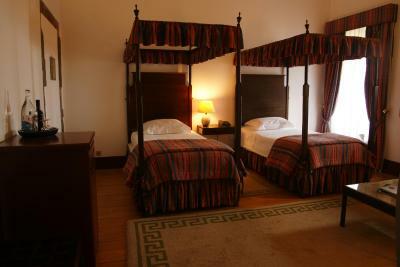 The bed was very comfortable and the room very quiet. 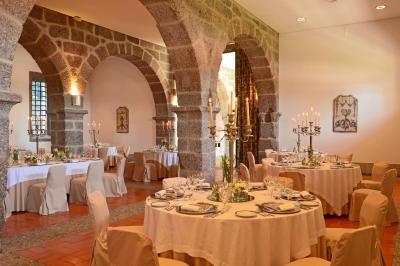 The dining room was also grand and the service matched the grandeur. The wine selection was extraordinary and we were well advised by the head waiter. 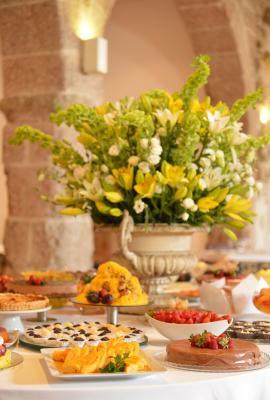 The dinner buffet was extraordinary, tables full of appetizers, salads, and of course the mains and desserts. Breakfast was also generous. We particularly enjoyed the mini ham and cheese sandwiches. There was an art exhibit while we were there and we enjoyed a lively discussion with the artist (Orlando Pompeu) after dinner one evening. Be sure to bring a swim suit, they have a very nice pool. An incredibly beautiful, historic place sensitively accommodated to 21st century expectations. It just could not be better! 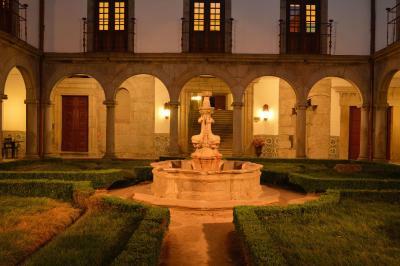 The property is so impressive and elegant in the restored monastery on a sacred site. 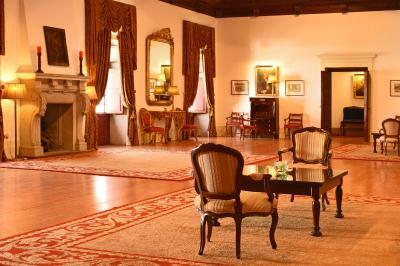 The rooms in the original wing (500’s) are unrivaled in all of Europe. The pool is wonderful. 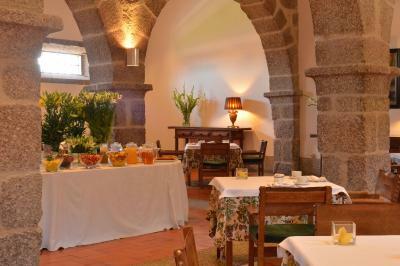 The breakfast is the best of the 5 Pousadas in which we have stayed. We were there for five nights and could have stayed put, on the property for another five. Vitor and the rest of the staff were stellar in helping us enjoy our stay. 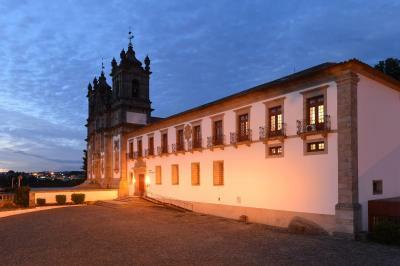 In my opinion, this Pousada is worth going out of your way to stay here. Well done! 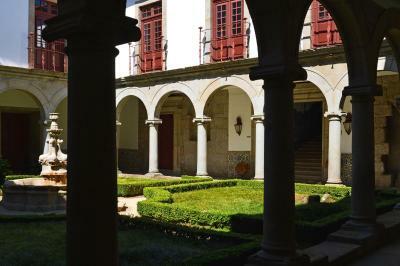 Beautiful historical site, loved wandering around the grounds and within the monastery. Met a lovely couple from England and visited on the veranda into the evening. 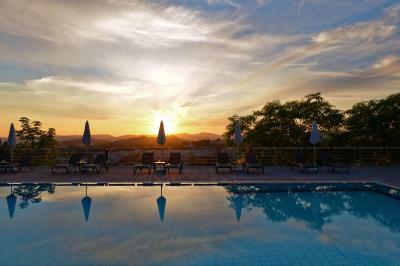 The pool was so refreshing after a day of climbing the steep Portugal streets. 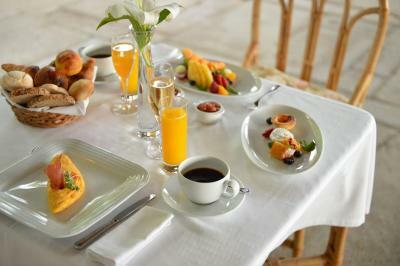 Wonderful breakfast. SO glad we stayed there!!! 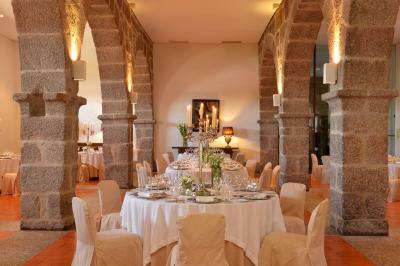 Pousada Mosteiro de Guimaraes This rating is a reflection of how the property compares to the industry standard when it comes to price, facilities and services available. It's based on a self-evaluation by the property. Use this rating to help choose your stay! 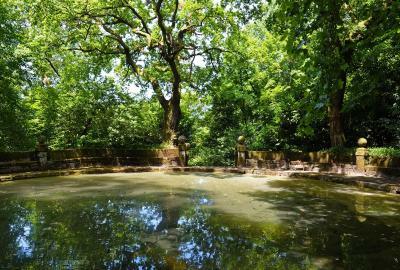 One of our top picks in Guimarães.Located in a 12th century Augustin Convent, the Pousada Mosteiro de Guimaraes overlooks Guimarães. 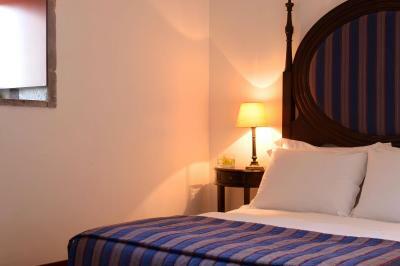 Rooms are equipped with modern amenities including air conditioning and cable TV. 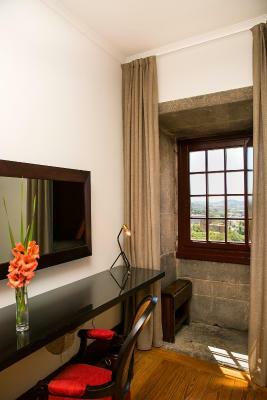 Each of the individually decorated rooms are located in what used to be cloisters. 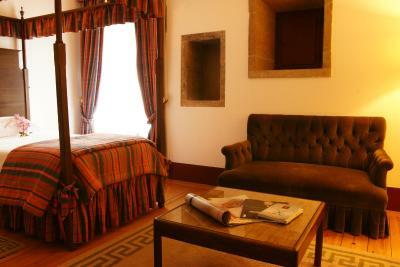 All rooms of Pousada Mosteiro de Guimaraes offer an private bathroom. 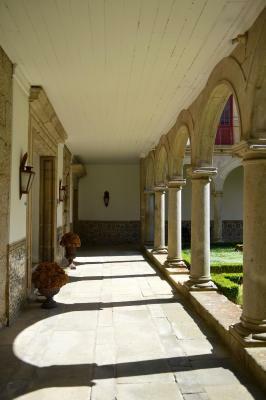 The Pousada Mosteiro de Guimaraes is within walking distance from the center of Guimarães, just 1.2 mi from Guimarães' shopping district. 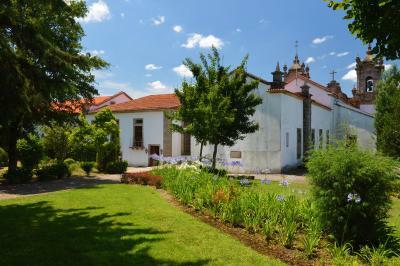 Guests can enjoy Pousada Mosteiro de Guimaraes's outdoor pool or a stroll around the landscaped gardens. 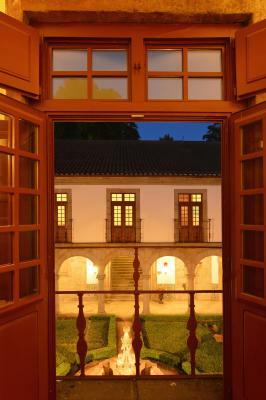 The Pousada offers free private parking on site. Guimarães Sports Pavilion is 1.9 mi away. 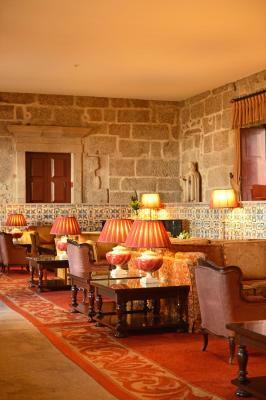 When would you like to stay at Pousada Mosteiro de Guimaraes? 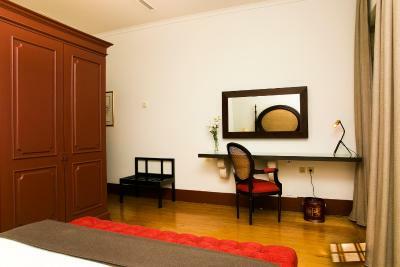 With a modern Art Deco style, this room comes with air conditioning, a safety deposit box, and a mini-bar. 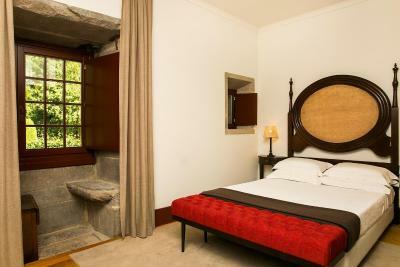 Some rooms have city views, while others have views to the Pousada gardens and landscape surroundings. - Open bar until 02:00. 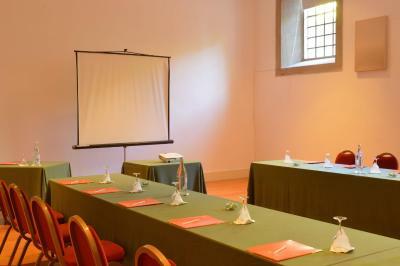 Featuring a classic décor, this air-conditioned room has a flat-screen cable TV and a seating area with sofas. 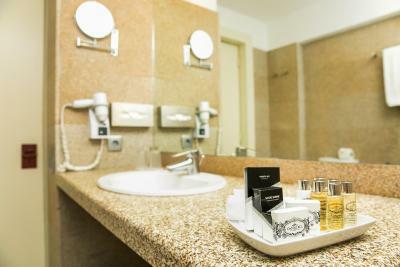 It has a private bathroom with toiletries and a hair dryer. 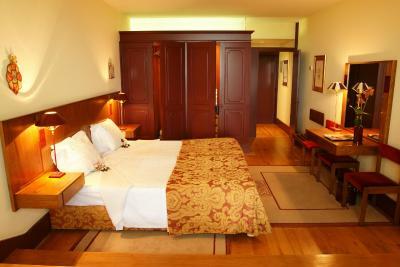 This twin/double room has a cable TV, mini-bar and air conditioning. 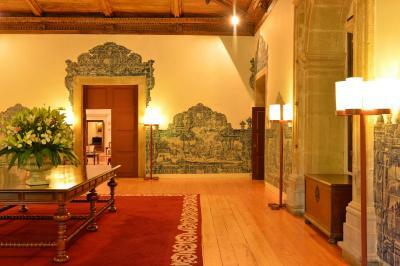 House Rules Pousada Mosteiro de Guimaraes takes special requests – add in the next step! 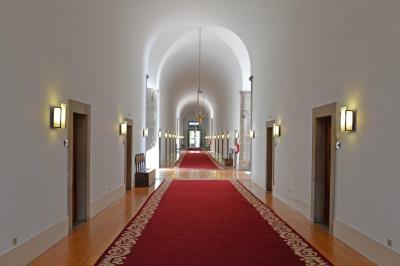 Pousada Mosteiro de Guimaraes accepts these cards and reserves the right to temporarily hold an amount prior to arrival. 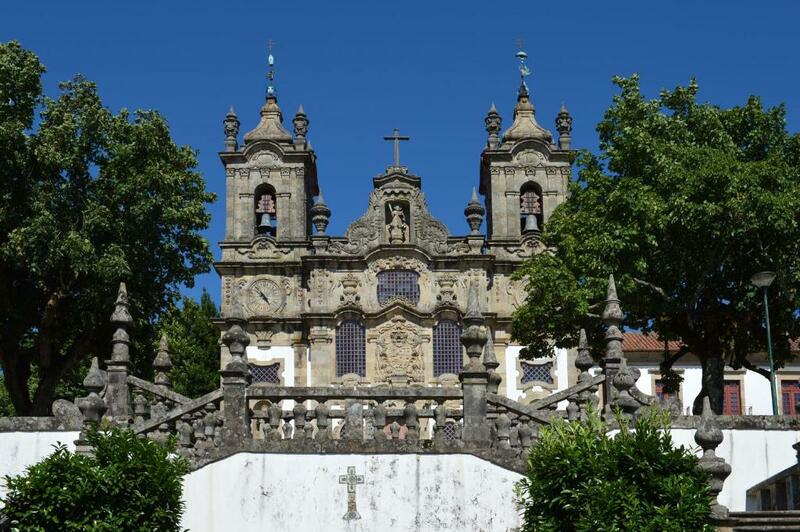 One of the most picturesque neighborhoods in Guimarães! Beautiful building with fine gardens behind. Lovely bar and restaurant. Great breakfast. A 20 minute walk to downtown, and a taxi back (a long uphill walk) is less than 4 Euro. 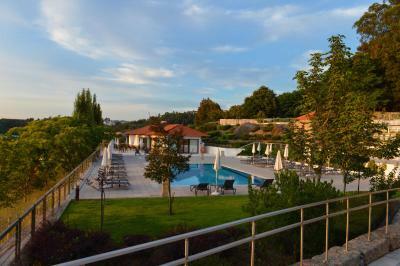 Lovely Pousada! Charming and beautiful. We stayed an extra night to relax and enjoy the quaint little historic village. It’s a pleasant surprise to find a location as special as this! Short walk to downtown with shops & restaurants. The staff has been pleasant and helpful! The TV doubled as a mirror which was very cool except that all of the lights needed to be off in the room in order to get a good picture. As such, we were only able to watch once the sun had gone down and with the lights out. 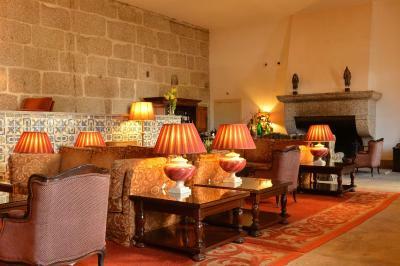 This hotel is in an amazing building on a hill overlooking Guimarães. 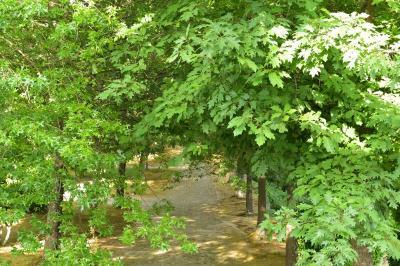 The property is beautiful and boasts a gorgeous garden and forest in its backyard—perfect for an afternoon stroll! The breakfast selection was very complete and the croissants were very delicious. The building has so many nice places to sit and read or admire your surroundings. It almost makes you not want to explore the city since there’s so much to explore on site. The waiter was very rude and he did not made our evening good! The location was really nice! 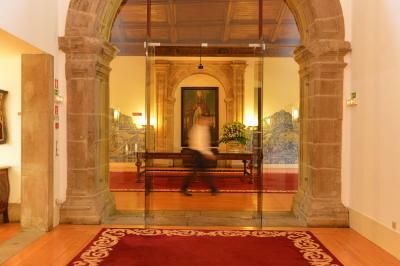 Wonderful historical building, hotel restaurant quality will not let you down! The heating system was a bit too hot in relation to the outside temperature. A shuttle service to the city would be perfect. 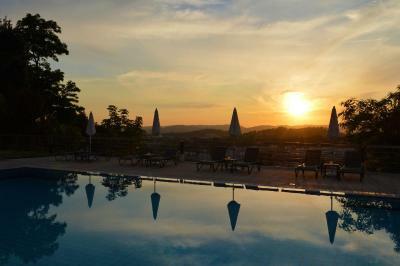 Loved everything, the building, the gardens, the view, the amenities and the food. The staff was great and in a hotel they make all the difference. They were friendly, discrete and extraordinarily efficient.